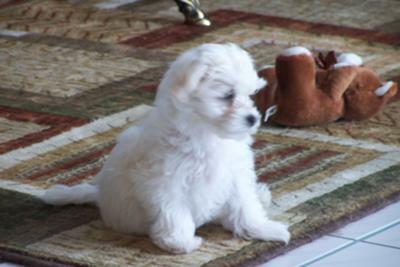 I feed my Maltese puppy Royal Canin puppy food. 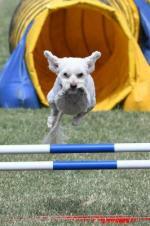 They have many varities and are very breed specific. I had a lot of trouble getting him to eat dry food for his teeth and fell upon this miracle worker. It is wonderful! Skipper can't wait to have his meals!! The company no longer makes this food. 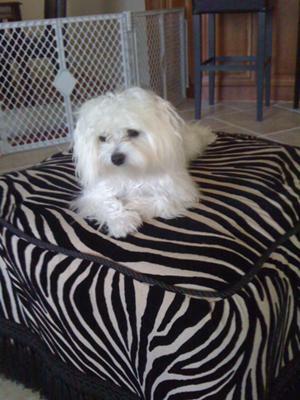 Does any one out there have any suggestions as to a good food that is specific to an Adult Indoor Maltese? Join in and write your own page! It's easy to do. How? 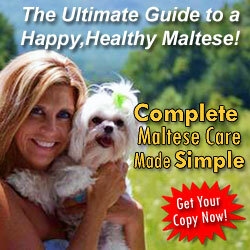 Simply click here to return to Your Favorite Puppy Food For Maltese. Royal Canin puppy dog food is great. 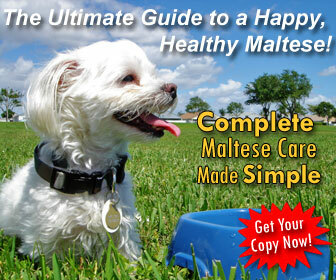 Vet suggested we feed our Maltese puppy dog with this product and it is good for Max's teeth and immunization system. Royal Canin Starter diets address the very specific needs of mother dogs, while providing nutrition designed for weaning puppies as well. Their formulas bridge a critical nutritional gap, providing the most comprehensive solution for the wellbeing of the mother, from gestation through birth and lactation, and the growing puppy. This product is really good for puppies. Max also loves banana, cheese, carrot lots and lots. Is there actually Royal canine Maltese food? 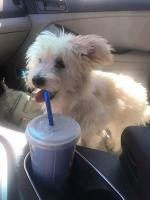 My vet recommended it but I can't find one that says Maltese. My little girl is a bit picky at times, but so far I have absolutely no runny bowels or vomiting. She is just perfect in every way! Her coat is glossy and she is a bundle of fun but never hyper as she is very relaxed. She is 1 1/2 years old. About a third of her diet is Royal Canin Special 30, one third is Solid Gold Limited Ingredients and one third is home cooked turkey breast and brown rice or chicken breast and thighs and brown rice or beef and barley. She adores all this. Every night I give her a little squirt of Bach Flower Rescue Remedy to enhance her to settle down to sleep time. You can get that at any health food store but I just put it on the back of her neck (same principle as the flea meds) as it has alcohol and is a bit strong for her nose. Works great! Also, I never give her tap water, always spring water (not purified) as the metals in tap water tend to rust the eyes. She has no eye rust if she stays on spring water. 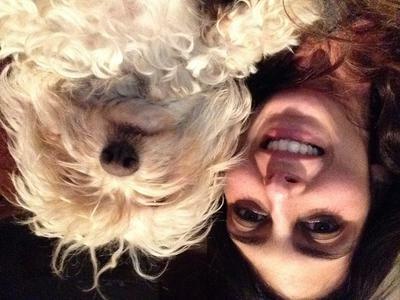 Murphie love of my life! I use Royal Canin food and my dogs teeth are great. He use to be constipated now he is not and it's all made in the USA.